What do saws, drills, extractor fans, an oven, a microwave, pots and pans and a breast pump have in common? They were all sampled for this week's SampleRadar collection is the answer, and then processed using all manner of different effects. The domestic appliance samples are divided into four folders: Beats, Hit n One Shots, Loops and Verbed Out. 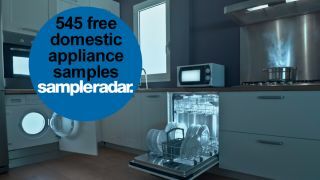 The domestic appliance samples are supplied in a zip file, so you'll need to extract them before you can see them. Enjoy!